Boult picked 5 for 21 in his devastating spell of 10 consecutive overs to dismiss India for their seventh lowest ODI total -- 92 in 30.5 overs for an eight-wicket win, the hosts first success in the five-ODI series. New Zealand pace spearhead Trent Boult said he is a different bowler in conditions aiding swing bowling after destroying India with an incisive five-wicket haul in the fourth ODI in Hamilton. Boult picked 5 for 21 in his devastating spell of 10 consecutive overs to dismiss India for their seventh lowest ODI total — 92 in 30.5 overs for a eight-wicket win, the hosts first success in the five-ODI series. “It’s purely a conditions thing … It was nice to see the ball move in the air like that. I feel like I am a different bowler definitely when it swings. I made the most of it today,” he said. New Zealand were outclassed in the first three ODIs as India sealed the series 3-0 and Boult said it was really frustrating. “It was frustrating and disappointing to start the series the way we did, we know we have the skills in the tank and plans that are good enough for anyone on a day, so very satisfying,” he said. “… my job as an opening bowler is to lead the bowling, so I had my job to do and the batters wanted to make a few wrongs right, we wanted to field with a lot more initiative, so it was nice to claw one back in the series. It was a quick turn around.” In the first three ODIs, India dished out a power-packed batting display and Bout said the visitors missed the talismanic skipper Virat Kohli. “They obviously missed a classy player like their captain. It is all about putting pressure on their top order, that’s been our game plan,” he said. 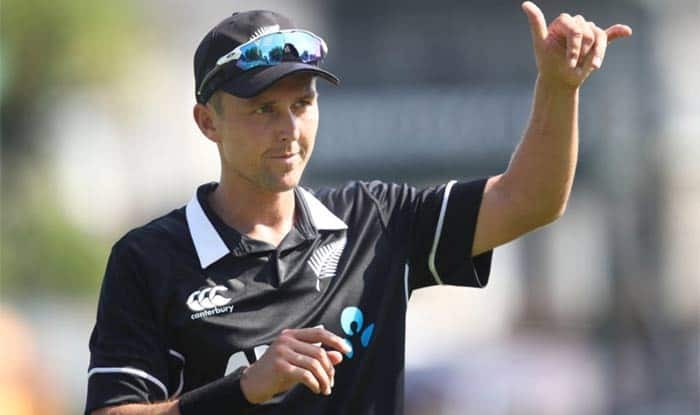 “It is nice to get through them and have a look at the middle order, so it was very satisfying, we knew we had the game plan, it was all bout executing them.” Talking about the conditions and his fiery spell, Boult said: “It’s just one of those things. You get a couple of wickets at the top … the rhythm felt good. The ball was still swinging later in the spell, so it was about making the most of it. “Once the ball is swinging like that you try to bring as many aspects, in terms of the bowled, the lbw, into play as well.